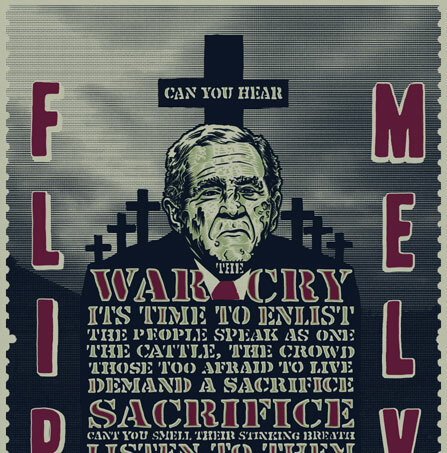 The Melvins, one of my favorite bands, have long called the legendary punk band Flipper one of their favorite bands, so this poster was is a nod to that sentiment. 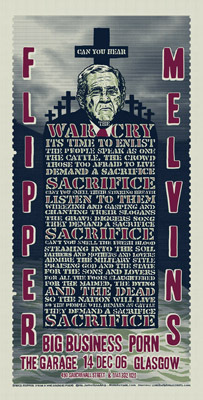 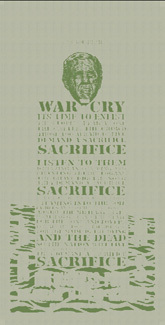 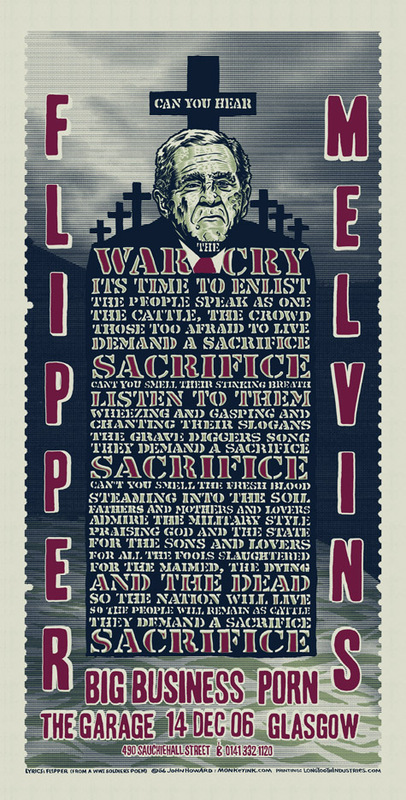 It has the lyrics to 'Sacrifice', the famous Flipper anti-war song often covered by the Melvins. 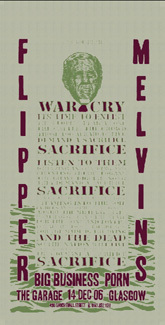 3 color screen print, went down like this..
At the merch table from lamestain's flickr set "Flipper - Glasgow"